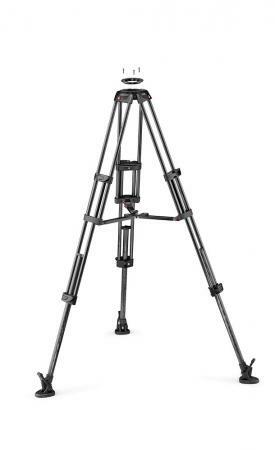 The carbon fiber twin leg with middle spreader video tripod is a professional quality tripod with a two-stage, extremely rigid and stable design making it ideal for all kinds of assignments. If you want to create professional level videos or films, then this is the must have tripod. It features an aluminum casting 100mm bowl and it comes with an aluminum adapter that converts the bowl into a 75mm when needed. 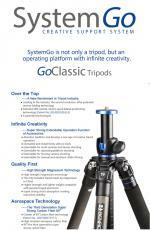 The tripod has a mid-level spreader with telescopic arms that helps you to set leg angles accurately. It is also detachable, allowing the usage of the tripod also in combination with the ground spreader Manfrotto 165MV which is sold separately.